recover database and resume work. Stellar offers recovery solutions in Oracle database, SQL database, exchange database, access database. It also provides services for recovery from MySQL, MS Access, QuickBooks, dBase, DB2, Visual FoxPro etc. within minimum turnaround time. Be it deletion, corruption or inaccessibility of the database, Stellar provides fast and 100% risk-free database recovery. Though database deletion is a rare case, sometimes due to an accidental deletion or software/hardware problem, entries of the database, database objects or even the whole database gets deleted. Accidental deletion of database objects, database modules or an entire database. Every database is invaluable, and a small mistake can damage the database beyond recovery. Hence, If you witness any database problem, keep yourself calm and composed and immediately seek professional help. Device condition – functioning or not? What kind of damage your DB has suffered? Recover data from any type of database. Our Data Recovery software can recover data from Oracle database, SQL database, exchange database, access database etc. It helps you in recovering your MySQL files, MS Access files, QuickBooks files, dBase files, DB2 files, Visual FoxPro files etc. within minimum turnaround time. With advanced features like a powerful scan engine, Turn on-off preview, RAW recovery, resume recovery, remote recovery, etc. it becomes first & foremost choice among all users. If you have accidentally deleted database objects and files, it can be recovered with stellar recovery software. But, trying multiple times unsuccessfully can lead to more damage. Hardware issues in the database server can’t be rectified without professional help. DIY methods can cause permanent data loss. Use Stellar Data recovery services for this. The situation is similar to hardware damaged system. Software solutions will not work. 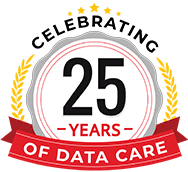 You need stellar database Recovery services for safe retrieval of your relevant data. A damaged internal structure is a critical issue which requires immediate attention. 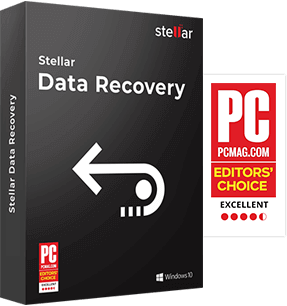 Contact Stellar professional services, and our experts will help you recover data. Power outage or unexpected system shutdown. The vast size of the database. Bad sectors in the storage media. CAN STELLAR DO REPAIR DATABASE? Database Oracle, Microsoft SQL Server, MySQL, Microsoft Exchange Server, Microsoft SharePoint, and dBase, DB2, Microsoft Access, QuickBooks and Visual FoxPro etc. Database Object Database tables, stored procedures, reports, forms, macros, schemas, containers, cluster tables, indexes and triggers. Stellar's systematic approach ensures maximum possible database file recovery: Analyzing the problem: During the consultation, we make a note of database details, the exact problem and steps taken by you to devise the correct recovery approach. We perform the repair & recovery process on the cloned media. With our indigenous tools and techniques, we repair the database and after that recover the data. 5/5 January 11, 2017 I am very much satisfied with the recovery services, employee of Kolkata Branch are very supportive specially Tinni & Srabani help me a lot & co-ordinate with me time to time. Best of luck for future.